Traditional report factories are rapidly becoming obsolete. 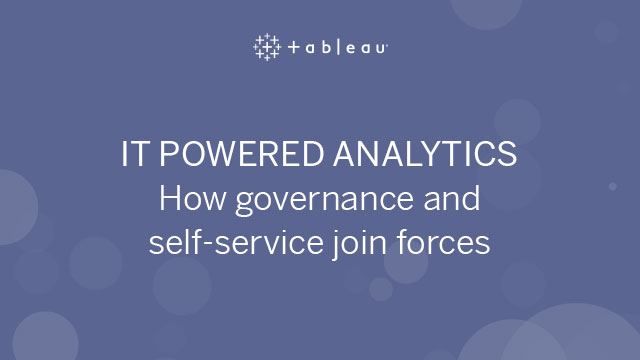 Enterprise organizations are shifting to self-service analytics and looking for a sustainable, yet long-term approach to governance that satisfies the needs of both the business and IT. The Business needs real-time access to data to drive critical decisions. IT needs to audit and manage data to ensure it’s accurate, secure, and governed to scale. With only eight percent of people in traditional organizations able to both ask and answer their own questions, it’s time to take a closer look at your analytics strategy.